Les Invalides complex dominates the Parisian skyline and encapsulates two major moments of French history: Louis XIV and Napoleon’s reigns, my favorite French dictators (kind of). The huge complex of buildings contains beautiful monuments and museums related to the military history of France, but was in the first place a hospital and a retirement home for war veterans. Indeed, Louis XIV initiated the construction in 1670 for pure political reasons and the buildings were erected in the middle of the then suburban plain of Grenelle. It’s quite funny to try to picture this very well know Parisian complex in a green bower, with no builiding in sight at that time. The complex contains fifteens courtyards, the main one being the court of honor, used for military parades and ceremonies. Also used for cringing ceremonies, as the degradation ceremony of captain Dreyfus – a shameful moment of modern French history, which was held in 1894. The veterans’ chapel – the only church in France allowed to display flags – is known as the Saint Louis Chapel and the attendance of the veterans to the daily church service was required in past times. The Saint Louis Chapel was completed in 1708 by the private domed chapel – the tallest of Paris – known as the Dome Church, which was a royal church inspired by the Saint Peter basilica. This way, the King was able to attend the service while entering the place through difference entrances, as required by the Court etiquette. Both churches are separated by a glass wall but there is an obvious continuity between both chapels. This separation was reinforced in the 19th century with the refurbishment of the Dome chapel, in order to welcome the tomb of Napoleon. In 1840, Louis XVIII organized the return of Napoleon’s remains in order to benefit from the Empire nostalgia at that time. The tomb is absolutely monumental, in an open crypt to be seen by anyone. The Dome chapel also contains the tombs of other war heroes, as Lyautey. The display is monumental, since we are in the epicenter celebrating the French military power. Strange to think that this place reunites invalid war veretans and the monumental glory of France… Weakness and strenght at the same time. 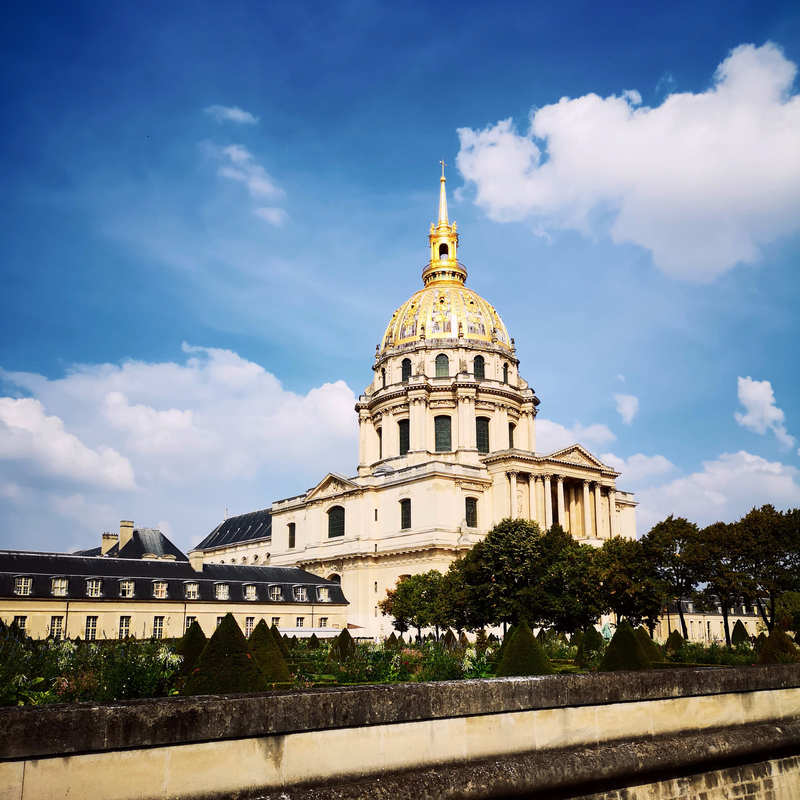 As of today, the Invalides complex still operates as a hospital and retirement home for war veterans. I’m not such a fan of military history but the building itself is breathtaking and is worth a visit, really.